...protect your car from how others park. You probably like traveling and visited big European cities using your car. Or you just probably work in one of the big cities in Europe, but most commonly you live next to a big city and have to drive in sometimes to get your things done. Some of us like big cities while others would avoid driving and parking in crowded areas. We are sure if you use your car in crowded cities you face with a problem we just call the "bigcity parking". The number of parking spaces cannot keep up with the number of cars on the streets. If you are driving around to find a place to leave your car and see a space just big enough for your car, you probably give it a try. If you have great parking skills and/or electronic devices helping you out you may be successful in parking, but what about others parking next to you. They might not succeed, causing minor cosmetic or even visible damages to your car. We are car enthusiasts and we were also affected by this issue until we came out with a solution that changes the way people think of parking protection. Our aim is to revolutionize the European parking culture and give back the desire to people to protect what gives them joy. We don't just want to provide a product that protects your car, but want to change the way people are parking. If people see that you have UPARK to protect your car, they should also take care of your car. And this is the community we want to develop. You probably got stuck sometimes between two cars in paralel parking situations making it hard to leave without crashing your or the other cars. 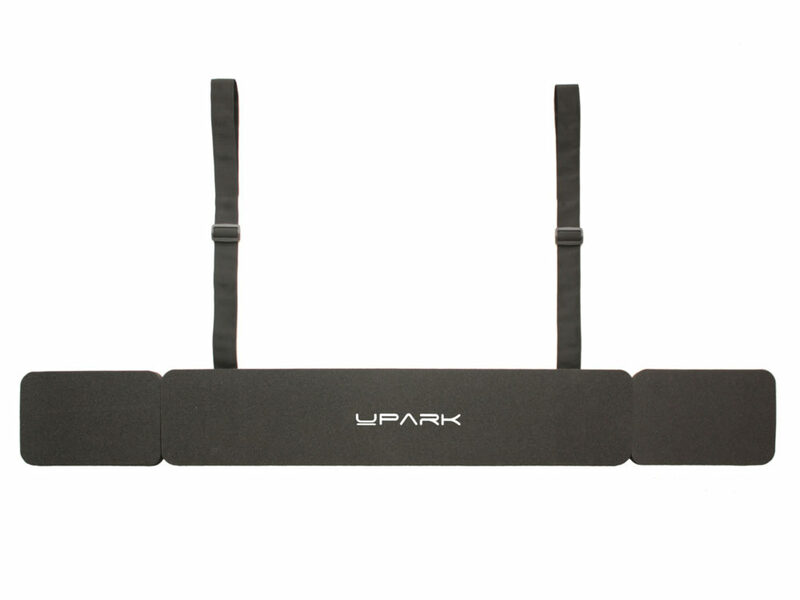 We've got you covered with the new UPARK bumper protector. It helps you get out from tiny parking places without causing any damage to your car and the car behind you. You may be aware of the situation when your are looking for the perfect parking space for your beloved car but no matter how carefully you choose where to park there is always somebody who uses the French way of parking and scrathes your bumper. We developed a solution for you. Just flip it out after parking and flip it in before you leave. It is that simple. 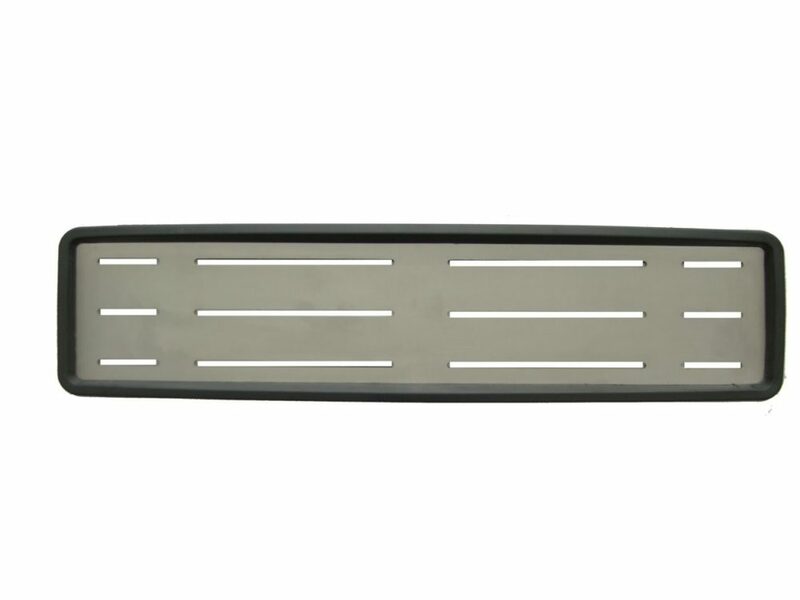 No matter whether you own a Fiat 500 or an Audi A8, our URBANIQ model fits your car's bumper and protects it from parking damages wherever you park. We designed it in a way to best fit all bumper shapes and sizes with its 1650 mm wide and 33 mm thick body. The URBANIQ and the URBANO is a Registered Community Design at the European Union Intellectual Property Office. We designed our product in one universal size that fits all cars of all sizes to achieive the best protection that your car deserves. The base material of the product is a special foam that is designed to absorb low speed impacts during parking. The back of the foam is covered by a soft foam rubber that has direct contact with your bumper and protects your painting from scratches. It is weather and water proof, therefore easy to wipe off with a cloth in case it gets wet by the rain. The ergonomic design allows it to fit for all bumpers and cars, no matter whether you own a Fiat 500 or an S-Class. The straps fix it to the bottom of your trunk and we provide additional fixing options for more flexibility. The straps are covered by real soft leather where it has a contact with your rear bumper and include two steel wires to make it hard to steal. …or in any other parking situation that could leave scratches or dents on your or on someone else’s bumper. You can also use it during parking in & out if you are not so experienced in manouvering. URBANIQ is available in one universal size, that provides the desired protection for you car. The base material of the URBANO is a thick rubber with a stainless steel reinforcement inside to protect your front bumper from parking damages in a stylish way. It is easily adjustable to fit the shape of your front bumper. URBANO is available in one universal size, that provides the desired protection for every car with an EU License plate. Traveling around Europe with your car, you probably realize that finding the perfect parking place in big cities is not an easy job. And even if you manage to find a small place you have no guarantee that by the time you return to your car there wont be any visible damages on your bumper caused by other drivers who tried to park their car next to yours. Therefore we developed a convenient and smart tool to protect your car from how others park. Flip it out after parking and flip it in before leaving. It is that simple! If you feel, that your clients would also like to protect their cars from parking damages, feel free to contact and cooperate with us on becoming an official reseller of UPARK in your country. Contact us and give some information on your profile and business and we will come back to you with the details. Feel free to contact us if you have any questions regarding our products or shipping or if you just want to leave a feedback on our products and services. We are interested in your opinion.